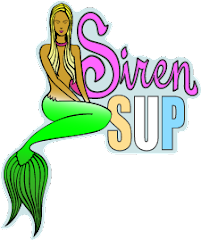 Kristy's Awesome Surf Adventures: Hmmmmm...Decisions, Decisions! Tip time on the log. Tip time on the SUP. It has been the most beautiful fall weather in Southern California for the past week. Perfect warm sunshine, gentle winds and.....small waves. We cannot have it all! Oh and the water temp. has dropped a little. I just took out the old 3/2 and dusted the cobb webs off, I put the spring suit away till next summer. Waves or not, with this weather, I am not going to miss a chance to get out in the water. So this morning, I grabbed my log and my SUP and headed to the beach. It is amazing how a longboard can make any wave a good time. Full tide and 2 ft. and I still got some fun rides. Just when I thought "it just does not get any better than this" I went in and grabbed my Stand Up Paddle board. Yep, you guessed it, it was even more fun! No sets in sight, it's all right! I can paddle out to the end of the pier and back. Check out bait fish and dolphins. Then a set appears on the horizon and it's back to the inside just in time to catch a left peeler with a nice little noseride section. The best part about SUP noserides, when the wave does not want to go anymore, just start paddling! Helps make that noseride last a bit longer. Whether you decide to ride a retro singlefin or a Stand Up Paddle board, just get out there and enjoy those sunny days!